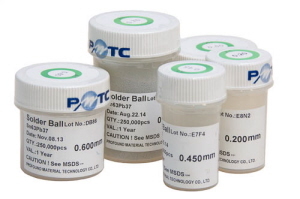 Using solder balls instead of solder paste only takes a few extra minutes. Also, IC’s have different pitches, array patterns, ball diameters, and even different alloys. Sphere solder balls work very well with our ZX series BGA rework systems, and are well suited to use alongside most rework stations.